Start a new family tradition this Christmas! Visit the National Shrine of Our Lady of Czestochowa, sitting on 170 acres of land, located on Beacon Hill, overlooking Peace Valley near Doylestown, Bucks County. The exquisite Christmas decorations will be on display from Dec. 20 through Jan. 20, 2019. A light show of 100,000 outside lights and 8,000 inside lights, many locally purchased Christmas trees standing over 12 feet tall, an outdoor live Nativity scene with animals and an indoor Neapolitan-style Nativity scene with over 40 moving statues, located to the right of the main altar, are just some of the Christmas attractions that surround visitors with a festive ambience. Dec. 24 — Christmas Eve: Vigil Mass at 5 p.m. in English and Midnight Mass in Polish. Dec. 25 — Christmas Day: Masses in English are at 9 and 11 a.m., 2:30 and 5 p.m. Masses in Polish are at 8 and 10 a.m., and 12:30 p.m. Founded in 1953, the shrine is the perfect place to spend time in prayer and reflection during the Christmas season and throughout the year. 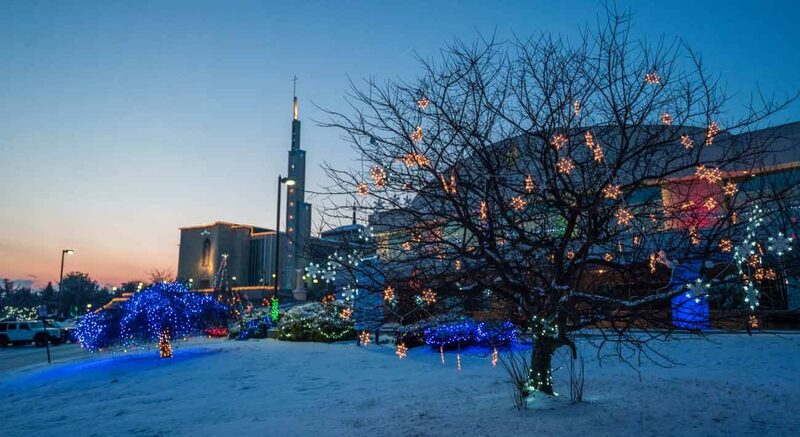 Experience the shrine’s myriad spiritual, natural and seasonal offerings. 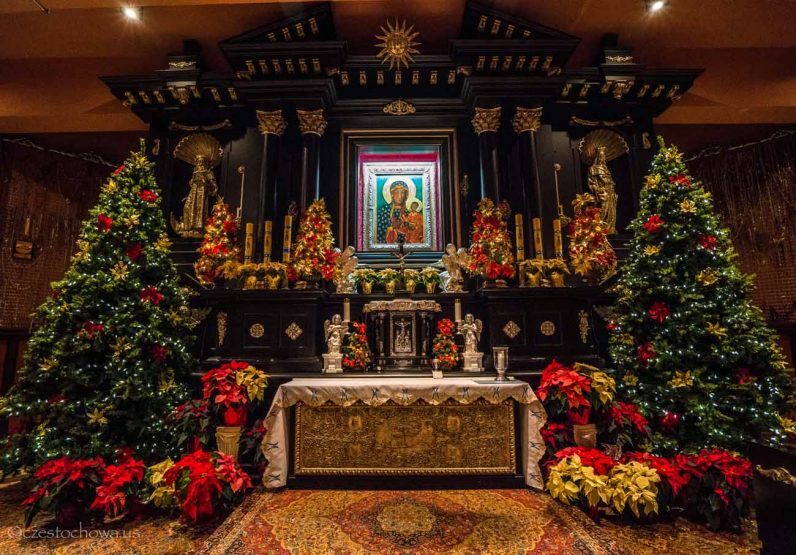 The National Shrine of Our Lady of Czestochowa, located at 654 Ferry Road, Doylestown, wishes everyone Merry Christmas — Wesołych Świąt Bożego Narodzenia.